Quality steel football goals. Crossbars & uprights from 76mm diameter x 3.2mm thick tubular steel, powder coated white. Plastic net hooks to the crossbars. 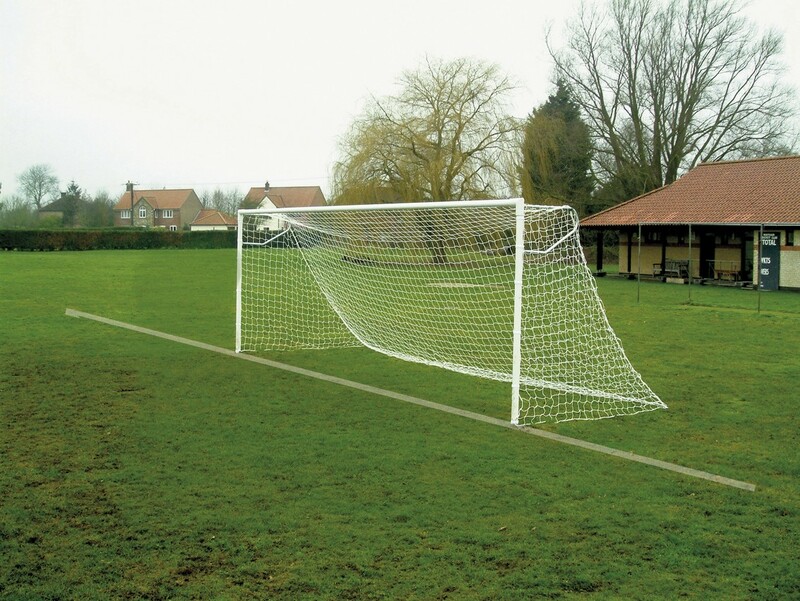 Goals supplied complete with steel ground sockets, continental net supports and white 3mm nets.